"If one simply follows the instructions of Sri Caitanya Mahaprabhu, under the guidance of His representative, and chants the Hare Krishna mantra, teaching everyone as far as possible the same principle, the contamination of the materialistic way of life will not even touch him. 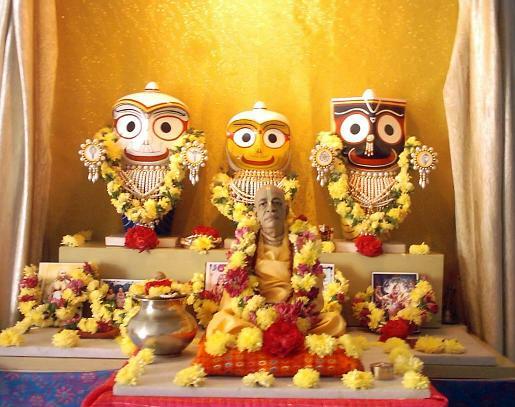 It does not matter whether one lives in a holy place like Vrndavana, Navadvipa or Jagannatha Puri or in the midst of European cities, where the materialistic way of life is very prominent. If a devotee follows the instructions of Sri Caitanya Mahaprabhu, he lives in the company of the Lord. Wherever he lives, he converts that place into Vrndavana and Navadvipa. This means that materialism cannot touch him. This is the secret of success for one advancing in Krishna consciousness."